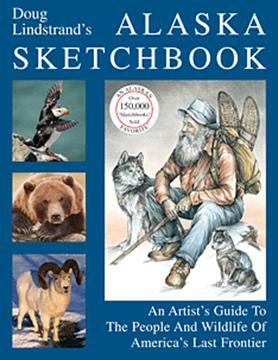 Containing hundreds of field sketches studio drawings and photographs this book is a tribute to the people and wildlife of Alaska's backcountry. Here is a rare glimpse into the history of the original Alaskan pioneers who spent their days prospecting fighting off grizzlies and exploring the rugged countryside. Also featured is a close look at the nature and fauna of Alaska from moose grazing in mountain meadows to caribou locked in battle to bears fishing in salmon-rich streams.